NexGen specializes in top system performance. NexGen can help you put together a complete system, or set of systems, that will last a lifetime. We tailor each individual build to our customers’ needs and fine tune our machines to outperform even top scoring systems in the industry. Our hand built units are specifically designed for your needs. Our talented team will help you choose the right system build for your home, office, or business. When you choose NEXGEN, you know exactly what they are getting in a system because after all, you get to choose the hardware and software for your builds. If you are unsure what you need, we offer free consultations and a magnitude of options to ensure we come to the right build for you. Many of our builds have been recognized worldwide for their unmatched performance and unparalleled aesthetics. In today’s world, reliability is hard to find. With so many products being mass produced with lower quality, you can’t always be sure what you’re getting. With NexGen builds, you can have the peace of mind knowing what you’re paying for. 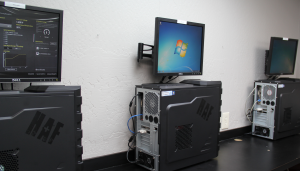 NexGen system builds are known for their performance and reliability. Even a decade later, our builds are still enjoyed by their owners and perform exactly as they did from day one. We build systems to last a lifetime. Everything from hardware and software is matched to give you the most reliable build you can find. This has enabled us to produce units which require low maintenance and have high life spans. Not only will a Nexgen build save you time and money in the long run, you have the support and expert consulting you depend on. If you can dream it, we can build it. NexGen system builds have been recognized worldwide for their looks and aesthetics. 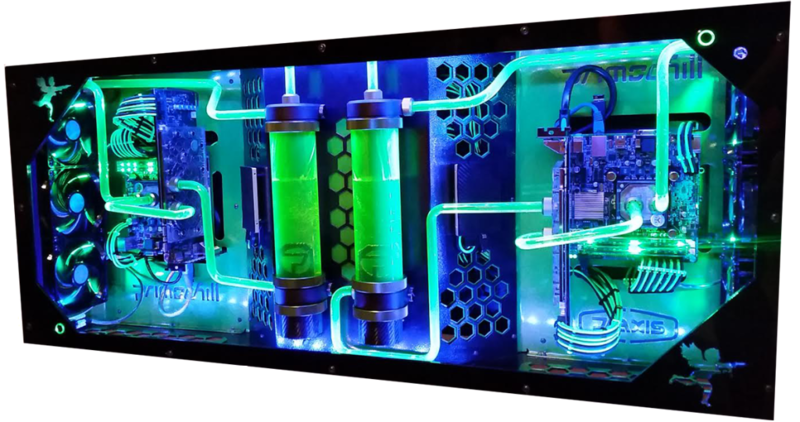 Our builds contain everything from liquid cooling systems to custom panel artwork. Many of our builds are one of a kind such as the “Vanilla Ice” System (below) and the “TitanFall” Build (below). Our custom PC panel art is one of a kind. 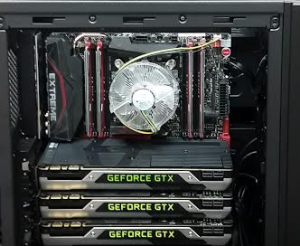 Whether it’s custom gaming PC’s, home, or office, NexGen can make it happen. 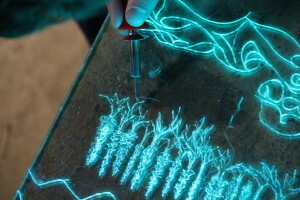 Each of our systems is backed by our experienced technicians. If a problem or question does arise, we offer free remote support to take care of your issue. Unlike traditional retail which is very informal, we consult one on one with our customers and target the root of the problem. This type of service is hard to come by in today’s busy market and is offered with each system we build. Our idea of system support means solving problems for customers in the timeliest possible fashion. At NexGen, we know how important having system issues can be and will do everything possible to ensure your system is performing at its full potential. We perform follow-ups with each customer through the life of the system to make sure everything is up to par. We are your system support experts.